The Two Sides of Ana: Episode 19 | TeleNovela Channel - Bringing you closer to lifes drama. Solash hires “Marcia” to represent her boutique in the catwalk. 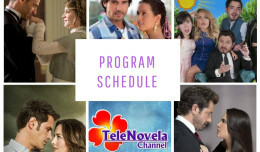 Vicente introduces “Marcia” to Ignacio while Ana furiously sets her eyes on the next target: Ignacio.